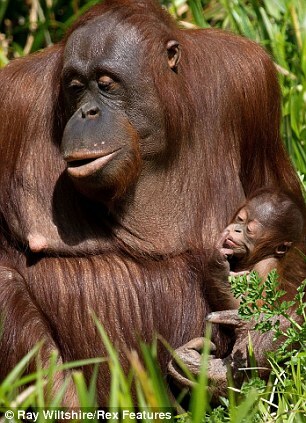 A newborn orangutan cuddles up and nestles in its mother’s arms as it enjoys a nice snooze in the sunshine. The little ape, less than a month old, appears to content in its mothers strong arms. 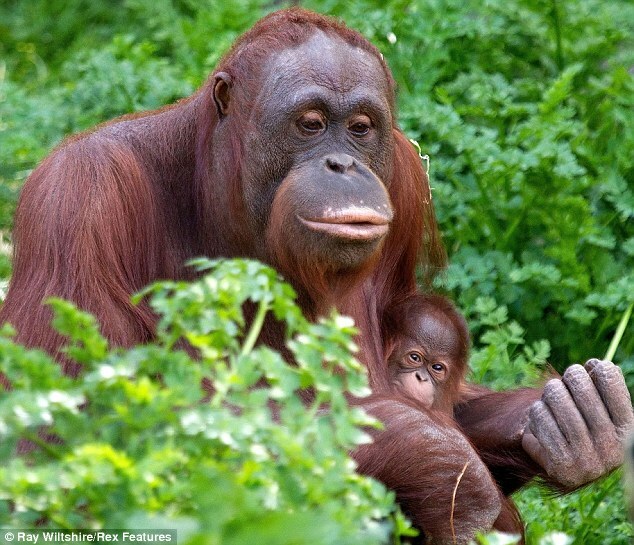 The 18-year-old mother, Mali, poses for the camera with her baby at her home at Devon's Paignton Zoo. It was the first birth at the zoo for 18 years and workers are confident that the baby ape is a girl. Phil Knowling, a spokesperson for the zoo, said the the pair are doing well after the birth. He said: 'We are pretty sure it’s a girl. Keepers are 99.9 per cent sure that the baby, now a month old, is female. 'Mali and the baby are doing well. They have the largest of the orangutan islands and even have an off show den to themselves. 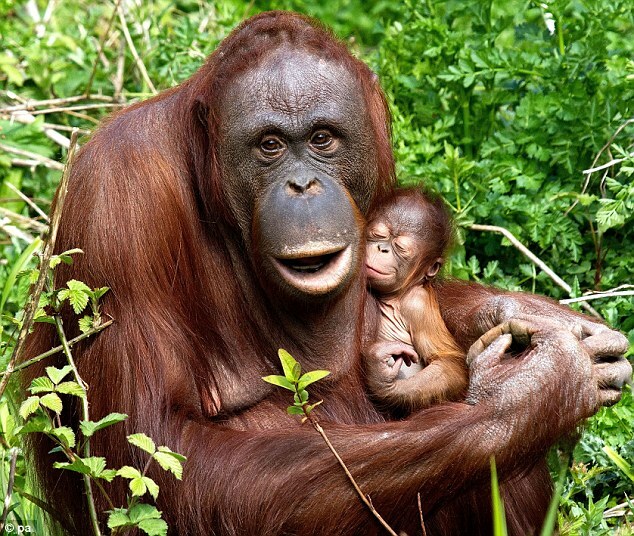 The pair are Bornean orangutans and they have suffered declines where the population is estimated to just be 50,000.